Product #16234 | SKU TRI-X-2500 | 0.0 (no ratings yet) Thanks for your rating! The Photek TRI-X-2500 Tripod Extender adds a horizontal lateral arm to any standard tripod that has a 1/4"-20 or 3/8" mounting stud. It features a ball head with a quick-release plate. 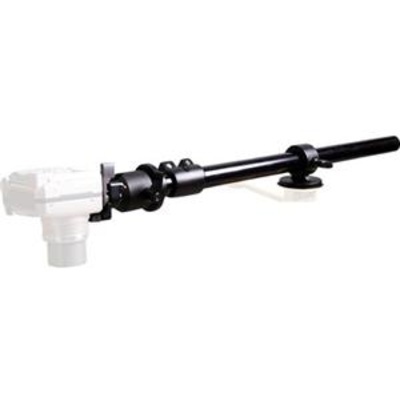 The Extender has a telescopic design and an overall length of 38", and shipping weight is 1.6kg. For added stability it has a built-in counter weight inside the arm. Lateral arms enable cameras to be positioned above or below the tripod in a 90° position, which might otherwise be obstructed by the tripod legs. A quick-release plate (model TRI-X-2500-P) on the supplied ball head makes it convenient for mounting digital, 35mm, or medium format cameras.